The food and beverage industry is subject to immense cost pressure. To remain competitive, producers are looking for powerful automation solutions with reasonable investment costs at the same time. 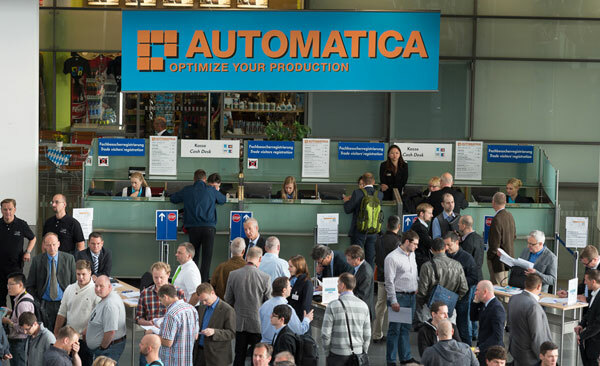 AUTOMATICA 2016, which will take place in Munich from June 21 to 24, presents suitable solutions for the industry. Automation providers know the needs of the food industry precisely. High-output solutions are required with output rates that can be well over 100,000 units per hour depending on the application. 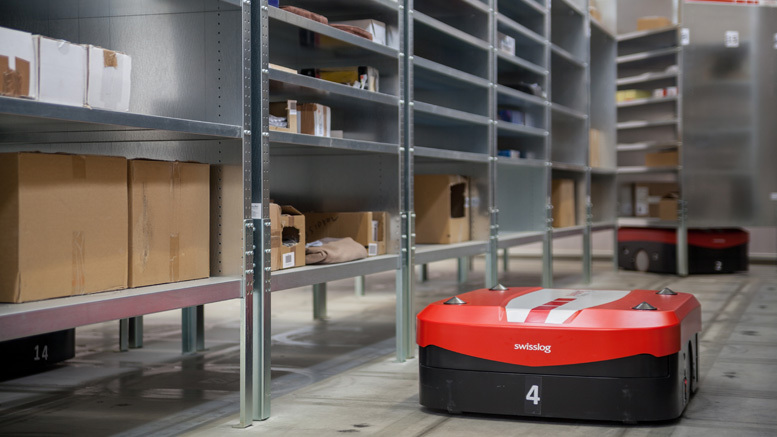 For secondary packaging, most manufacturers offer powerful robots in all possible payload and range classes. 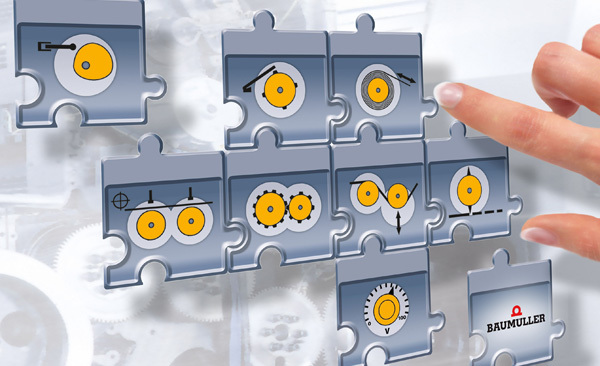 The same applies to industrial machine vision, which plays a key role in many applications. The offer ranges there from intelligent smart cameras to complex, comprehensive machine vision solutions for line tracking. Robots are still limited to a greater extent by these requirements than in the area of secondary packaging. However, the market is developing dynamically. The World Robotics statistics of IFR show a growth of 14 percent in the beverage and food industries worldwide in 2014. 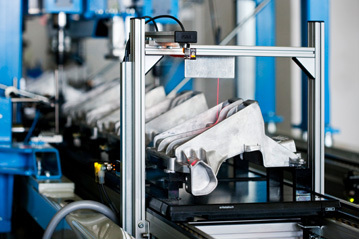 The high demand is fueling the innovative power of robot manufacturers. As a result, many innovations are expected at AUTOMATICA 2016 in the field of high-speed kinematics. Delta robots are the focal point here. The granddaddy of these kinematics, the ABB FlexPicker, wrote robot history. Today, the IRB 360 product family covers almost every need with its many variants. Important for food applications: All FlexPickers are perfect for harsh wet environments in the processing of meat and dairy products with their hygiene design. Even a version in complete stainless steel design with protection class IP69K is available, which is especially suitable for wet cleaning with industrial detergents and high pressure hot water. Adept will also be at AUTOMATICA 2016 and present its Hornet 565 with newly developed delta kinematics, which masters pick & place at top speed. 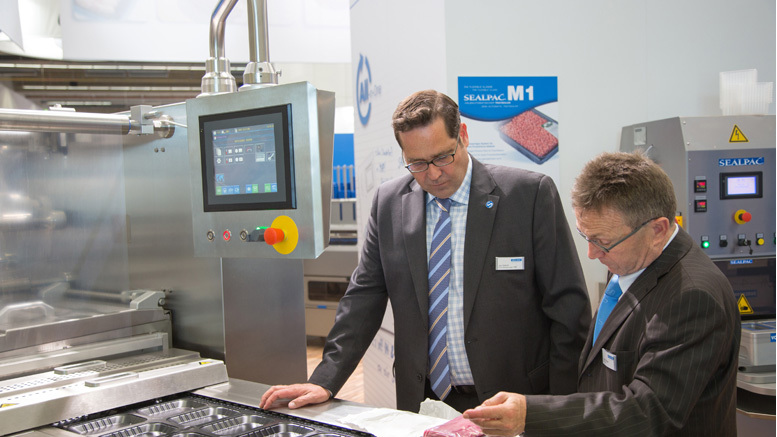 “We developed the Hornet 565 to increase product throughput and efficiency and to reduce production costs,” Dr. Klaus Kluger, Managing Director of Adept, explained. Fanuc is moving forward with particularly creative delta kinematics. The Japanese equip their robots with triaxial hand joints, which produce six-axis kinematics. Three axes suffice as long as it is “only” a matter of picking. If inspection tasks are added or picked products must be rotated around an axis, the robot needs an increased degree of freedom. Not only robot manufacturers, plant engineering companies and food producers will benefit from the advances in automation technology, but also consumers and the labor market. Example: If North Sea shrimp were automatically peeled in Germany, their 6,000-kilometer transport to distant Morocco would no longer be necessary, new jobs would be created in Germany, and consumers would get a fresher product. They would be just as fresh as the fish sticks, which are quickly packed with six-axis robots at TST located near Emden. 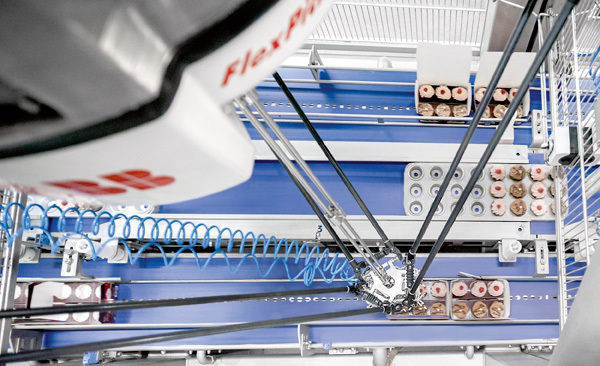 Each of the four Stäubli six-axis robots in HE design on a fish sticks and a gourmet fillet line handle packing up to 300 tons of fish per day in three-shift operation. This is quite an achievement, because the crumbly cargo is anything but easy to handle. Positive side effect: Thanks to this investment, 160 jobs have been created in a production facility newly built in 2011. 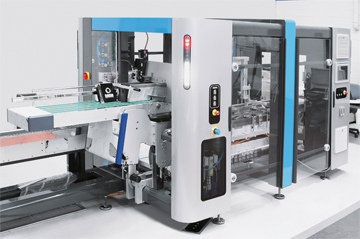 In addition, new automation solutions are at the point of being put into practice every day. Regardless of whether it concerns the new tomato harvesting robot from Panasonic or cutting dough into pieces with jet of water, there are few limits to the innovative power of the automation industry or to potential projects in the food industry.